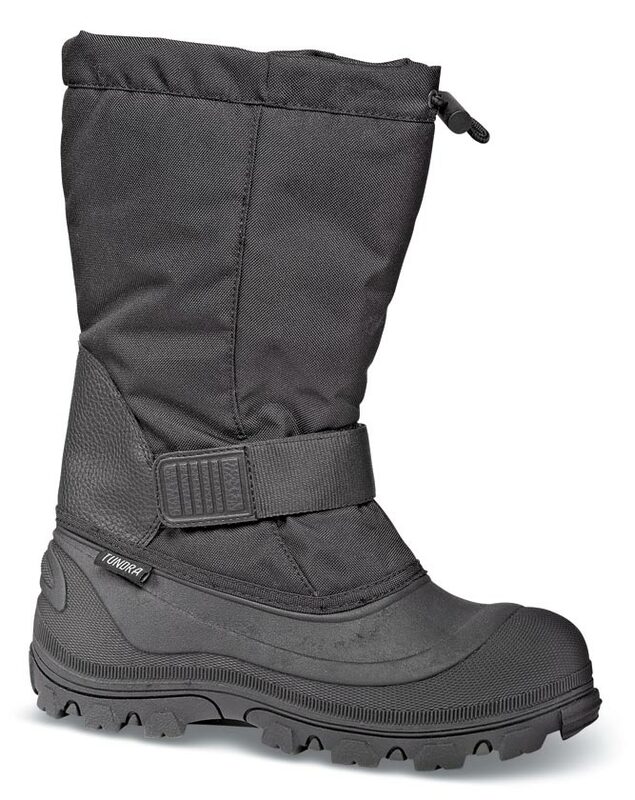 Rated to -30 F°,the “Utah” 12-inch boot by Tundra has strong nylon uppers with toggle string top closure and removable insulating felt liners (which may affect fit for some 5E and 6E individuals). 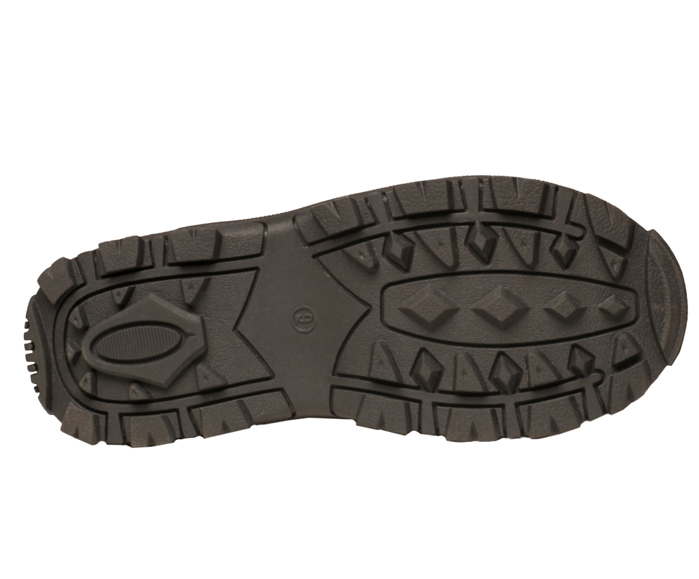 Waterproof TPR bottoms have deep-cleated non-skid treads. 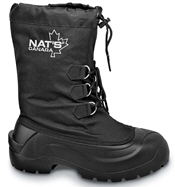 Self-securing adjustable strap at the instep. Limited seasonal stock in men's whole sizes 7 to 13 in XW (4E) width. Stocked seasonally.